I’m always a little leery when tool manufacturers start combining multiple functions into one tool. Before long someone will introduce an egg salad maker / post hole digger, and unfortunately it won’t do a very good job making salad or digging posts. The biggest exception to my skepticism is the 6-n-1 screwdriver. I love ’em. 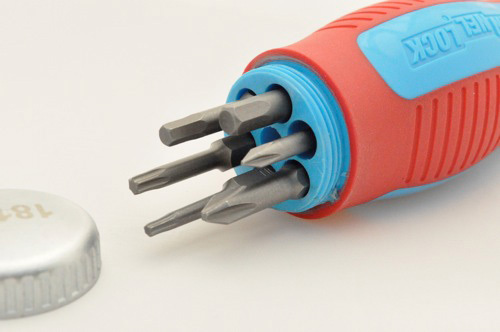 It’s super-handy to have multiple Phillips, flathead and nut driver sizes all conveniently available in one tool. 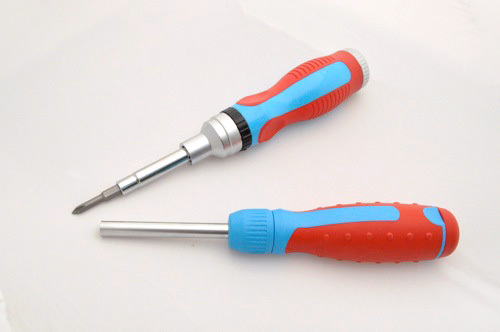 I was intrigued when Channellock sent me a pair of their new ratcheting screwdrivers- the new Code Blue 13-n-1 and 18-n-1 . If I like the 6-n-1, it stands to reason that the 18-n-1 would be three times as awesome, right? Maybe not. Both of these drivers have all the common features you’d expect- good handle, solid construction and comparable form factor. 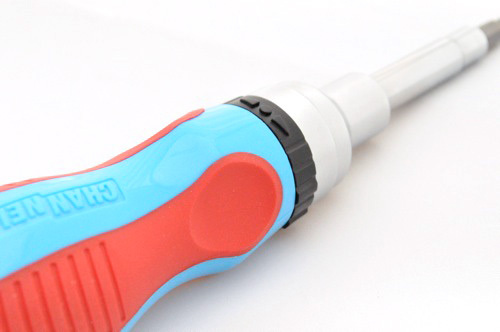 Rather than bore you with details (like how the molded grip feels good in your hand), let’s focus on what makes these screwdrivers different. Call me old school, but most of the time I don’t take advantage of ratcheting screwdrivers and leave them locked. It’s a great perk when I remember to use it, and it makes repetitive jobs like wiring outlets much easier. The 13-n-1 features a 28 tooth ratchet and it is so smooth. That probably doesn’t matter for build quality but it actually makes the tool more pleasant to use. Like most other X-n-1 drivers, all the additional bits are stored in the handle, however Channellock implemented a very slick bit holder on the 13-n-1 driver. Rather than loose storage or even slots like the 18-n-1, Channellock created a slide out bit holder that locks all six bits in place. 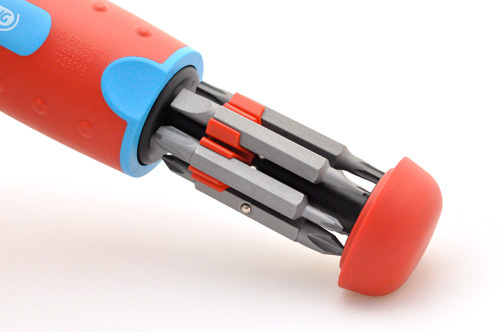 This is such a great idea because your not losing bits, and it’s easy to find the right one by rotating the bit holder. 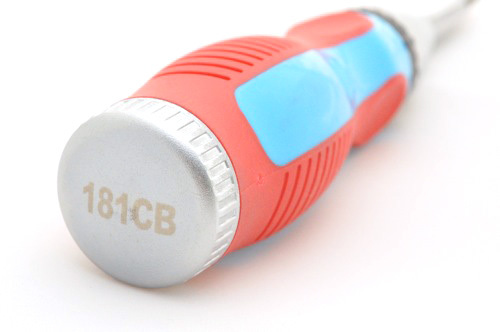 I don’t know why Channellock didn’t include this on the 18-n-1 screwdriver but they should. You may have noticed that all the bits have a detent that holds them in place- another thoughtful feature. Here are the bits included in each driver. 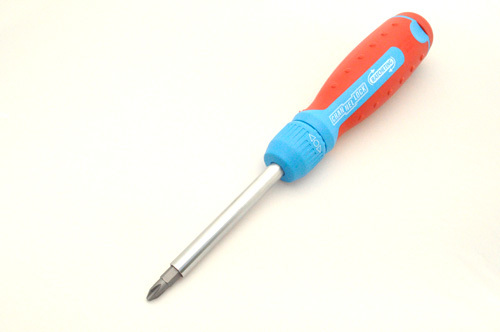 What’s your favorite X-n-1 screwdriver? I love my Stanley 68-012 6-1 screw driver. I’ve had it for like 10 years and it is still the only screwdriver I carry in my tool belt. Why the huge price difference between the two Channellocks? I kind of want to try the 18-1 since it resembles the Stanley except it has more bits in the handle and rachets. I’m not sure about the price difference. You’d think the 18 would be more since it has more bits / a few metal parts in lieu of plastic. I’ll ask Channellock and see what they say. I will buy one of these. Like you, I always grab a 6 in 1 first and a ratcheting screwdriver is so handy. 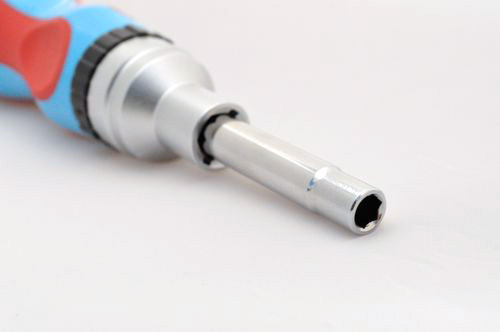 Now, if they will come out with a version where I can use all of my 1/4 locking hex bits…I’ll have to buy two. Hey Paul! Good to see you around. Don’t tell anyone but we may be offering these in Project Rewards soon. Maybe you won’t have to buy em after all. While it looks like the 13-n-1 is supposed to be the nicer tool, I cant help but think the 18-n-1 looks nicer, I like the metal neck on it. My parents had a older ratcheting screwdriver. is the 13-n-1 shaft removable? gah… hit submit before I was ready. My father’s ratcheting screwdriver has the same base twist mechanism to control the ratchet, and it still works pretty well, I think it was a Mr. Ratchet, and came with 6 bits and a set of nut drivers. only problem was the rubber triangular handle is looking pretty sad right now. I think the 18-n-1 looks a little more sturdy. It has the metal neck like you mention and the grip looks like it’ll wear better too (just speculating here). Overall, I still like the 13-n-1 more. The bit holder is sweet. I really don’t know why they didn’t include that on the 18. They both hold six bits. The shaft on the 13 does not come off. I have owned several multi bit screwdrivers. I think I will invest in this one as my next. SInce my old ones have missing bits. My brother always borrows it and loses them through out his house. I tried these out as well. I really like the 13-n-1 bit holder much better than the 18-n-1. Ethan’s photo of the 18-n-1 is generous. If the bits stuck out that much normally it would be better. Problem is they barely break the surface when you’re holding the screwdriver upright. So you have to sort of peer down carefully to pick the right bit — and you can only see one side of the bit. The 13-n-1 holder is really innovative. It could be even more innovative if the bits were held by magnets instead of clips. Magnets would be better. I have a very old version of this screwdriver that I keep in my car. It has come in so handy! Just received the 13-n-1 and it just as good as advertised! 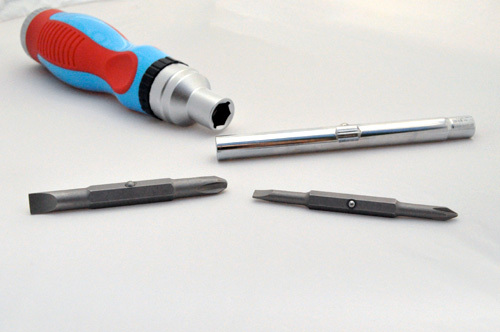 The bit holder is a very nifty idea – I had an old multi-bit screwdriver where the end screwed off and all the bits went into a void at the end of the handle. I could never seem to get them all in there, let alone try to find the ones I needed. 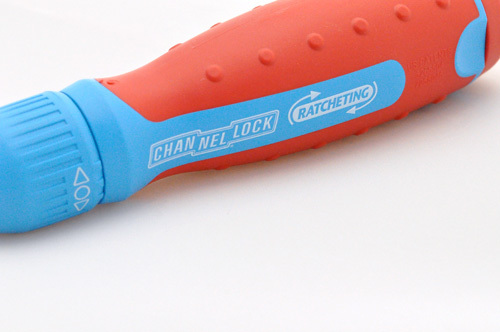 Love the ratcheting function too. Great screwdriver. Through some recent home renovation work, about ALL of our Phillips heads have been stripped to the point where they just slip, and mess up the screw slots. Are the tips of these highly durable? The design looks very handy, as far as bit storage goes- especially nice to not have to search through a pile of screwdrivers, inspecting all of the Phillips tips for wear. Hey Handyman! The 13-n-1 is the screwdriver I grab every time these days, and so far I haven’t noticed any problems with the bits wearing out. I expect them to last a long time. Even though I think the new Kobalt is pretty handy, this is still my favorite screwdriver.